China has suspended transportation of live hogs from provinces infected with African Swine Fever. 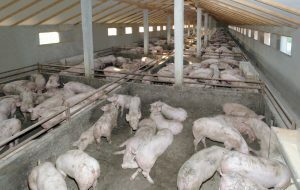 Reuters says the Chinese Ag Minister will also shut down all live hog markets in the infected provinces. Pork is a staple meat in China, which has reported five cases of swine fever in five different provinces over the past month. The outbreak is prompting Chinese authorities to cull hogs at farms in an effort to contain the outbreak. The Chinese ag ministry released a statement on its website that said the prevention and containment of African Swine Fever are proving to be complicated and serious. The Agriculture and Rural Affairs Minister is asking local authorities in the different provinces to do everything they can to ensure safe production at animal farms in their provinces and secure the country’s meat supplies. U.S. Ag Secretary Sonny Perdue wonders if China hasn’t been forthcoming in sharing the seriousness of the outbreak. “We think it’s probably been underreported in China because of the way they’re able to control their media there,” Perdue says. The most recent outbreak affected 185 pigs on a farm in an eastern Chinese province.